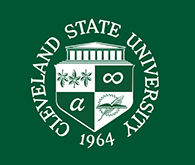 Cleveland State University Library News Topic: SYSTEMS ALERT : Scholar Catalog Will Be Offline Beginning 8 AM on Monday March 12th. SYSTEMS ALERT : Scholar Catalog Will Be Offline Beginning 8 AM on Monday March 12th. Due to scheduled hardware upgrades, Scholar, the Library's online catalog, will be unavailable beginning 8 am on Monday, March 12th. Search for Library materials using SCHOLAR. Access the Research Databases from off campus. Posted 2018-03-08 14:44:03 by Lauren_Felder.